With more and more organizations looking to expand internationally and enter new markets, Latin America is becoming an increasingly popular choice. With strong trade links, a lucrative geographic position and a growing middle-class market, the territory offers businesses with the right value proposition significant opportunities that can be exploited for high returns. However, Latin America is a big place. 2017 estimations suggest that the territory is home to more than 640 million people and counting, with a collective GDP of US$5,573,397 million. If you want to grab a slice of the market, then you must offer the right products and services at the right price, and enter a Latin American country that is ripe for investment and expansion. Perhaps one of the biggest challenges and barriers to entry facing entrepreneurs and foreign investors is the ease of doing business in Latin America. Indeed, some countries are more investor-friendly than others, with policies and incentives designed to encourage FDI. Others are less welcoming, so businesses must work harder to penetrate and dominate the market. Below, we’ve put together a guide on the ease of doing business in some of Latin America’s most popular countries for foreign nationals. We briefly outline the current opportunities, the barriers to entry, and offer guidance for businesses considering expanding into the nation…. Despite recent economic hardship, Argentina remains an attractive market for foreign investors. 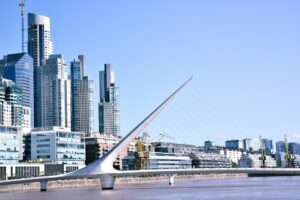 According to the World Bank Ease of Doing Business Report 2019, Argentina is ranked 119 among 190 countries, but don’t let that put you off of investing. The country’s economic growth is expected to hit 3.1% in 2019 and is a major player in the agricultural sector, and the second-largest manufacturing powerhouse in South America. One of the challenges of investing in Argentina is the country’s large deficit, and navigating a market that has the sixth highest corporation tax rate in the world – currently at 35%. However, with expert assistance, company formation in Argentina is a simple process and great opportunities in many sectors await businesses with the right strategy. We recommend a visit to forge relationships before incorporating to assess demand and ensure a return on your investment when expanding. Ranked 109 out of 190 countries on the World Bank Ease of Doing Business Report 2019, Brazil is another popular destination for foreign investors looking to tap into Latin America. One challenge facing entrepreneurs is the high levels of corruption in Brazil, with the Brazil Supreme Court recently launching an investigation into Flávio Bolsonaro, the eldest son of President Jair Bolsonaro. Whilst this raises question marks for some, the truth is that most businesses can operate without the worry of corruption. Brazil is rich in mineral wealth and has a predominantly young and aspirational population that will reach 212 million in 2019, offering businesses an abundance and labour and high demand for products and services. Chile is ranked 56 among 190 economies on the Ease of Doing Business Report 2019, with the country’s business confidence for 2019 at 54.17 index points. The country spent 2018 carrying out reforms to improve its business climate and encourage FDI, with the introduction of a new electronic system when incorporating a business in Chile, and contract enforcement which allows businesses and individuals to file complaints online. There are still challenges – paying taxes, for example, can be frustrating and time-consuming – however, infrastructure and energy investments mean Chile can provide a strong and stable business environment. Colombia is widely considered to be the most business-friendly country in Latin America. Colombia is ranked 65th amongst 190 countries for its ease of doing business and is widely considered to be the most business-friendly country in Latin America. With FDI investment of US$2,656.29 million in the last quarter of 2018 alone, it is clear why the country is a firm favourite. Its economy will grow 3.5 per cent in 2019, and scores highly for ease of obtaining credit, protecting minority investments, and resolving insolvency. Colombia is not without its downfalls, however – paying taxes continues to be a slow and time-consuming process, but a 2019 tax reform will see corporate income tax (CIT) rate reduced from 33% in 2018 to 32% for 2020, 31% for 2021 and 30% for 2022 onwards, offering numerous benefits to investors. Costa Rica ranked 67th out of 190 economies in the 2019 Ease of Doing Business Report, and fifth overall in Latin America. In 2018, the country fell down on starting a business and protecting minor investors, although it performed well in the report when relating to the ease of getting credit and electricity. 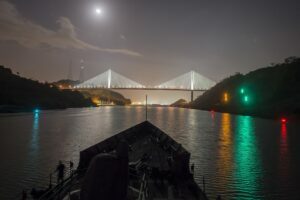 The Central Bank suggests the economy will expand by 3.4% in 2019, with low taxation, significant free trade agreements, and a bilingual workforce, there has never been a better time for foreign investors to incorporate a business in Costa Rica. Ranked 123 among 190 economies on the Ease of Doing Business Report, and with ten tax payments to make in Ecuador each year, taking hundreds of hours to process, you will likely face challenges when expanding into the country. However, the country made it easier to pay those taxes, discontinuing the “solidarity contributions” introduced in 2016. The Ecuadorian government has also made it easier for employees to cover their private medical insurance, which reduces the costs and liability for businesses and makes recruiting talent cheaper. With a population of almost 130 million and a growing middle class, Mexico is a favourite amongst foreign investors, and a strong business environment only increases FDI. The country was ranked 54 among 190 economies on the Ease of Doing Business Report, with improvements the speed and reliability of energy supply in the country, and a reduction in corruption levels thanked for its favourable position. The International Monetary Fund cut the growth forecast for Mexico to 2.1% for 2019 and 2.2% for 2020 because of a reduction in private investment, but with a US$1.5 trillion GDP and a GDP per capita of US$8,902.83, foreign businesses looking to incorporate in Mexico should do so sooner rather than later. A company formation in Panama is a simple and affordable process for businesses of all shapes and sizes. Peru is ranked 68 out of 190 countries on the 2019 Ease of Doing Business Report. Dealing with permits, getting credit, protecting minority investors and registering property all rank well when compared with other countries, contributing to its healthy EODB score. 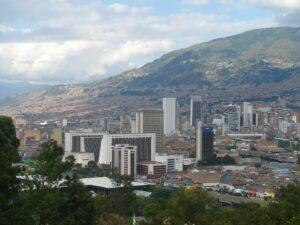 Peru does, however, face challenges when it comes to paying taxes and trading across borders, though the World Bank credited the country for reducing the time it takes to obtain a municipal license when registering a company in Peru, and its efforts to strengthen quality control in the construction industry, by introducing stricter qualification requirements and inspections. According to a senior economist for Latin America of Citibank, the Peruvian economy will grow 4% in 2019, which is offering exciting new business opportunities for foreign investors. When operating in new Latin American countries, having a trusted local partner can aid in your growth and commercial success. At Biz Latin Hub, we offer a range of back-office services designed to help you understand the local market and to navigate its complexities, ensuring a successful international expansion with minimal headaches. To find out more about how we can help, email [email protected] and we’ll get back to you with a personalized strategy unique to your business and your Latin American expansion goals.